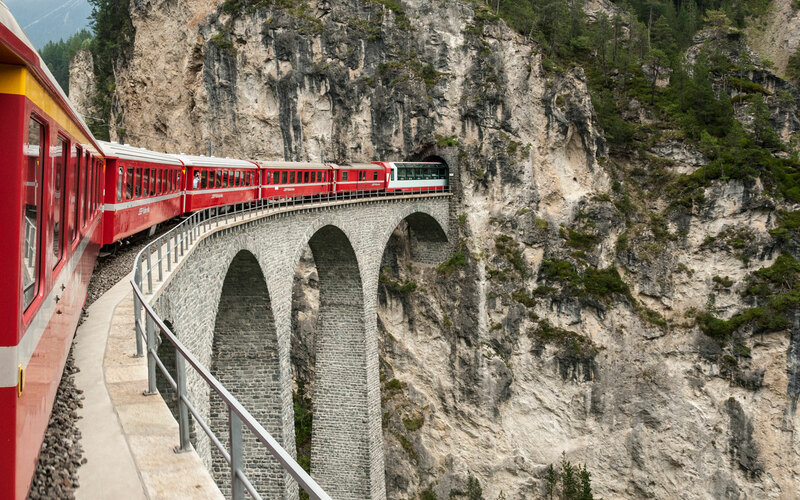 On the Venice Simplon-Orient-Express, the murder mystery is not included. 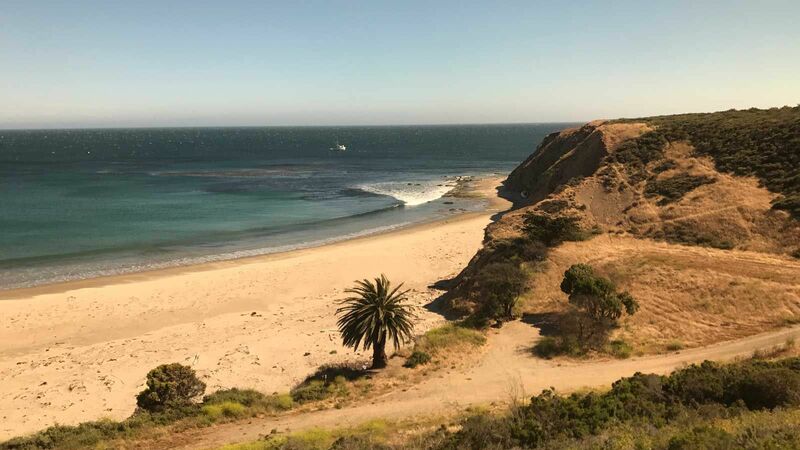 It was 7 p.m., and a pre-dinner crowd dressed in black tie had gathered in the bar car of the Venice Simplon-Orient-Express, which was rattling through France on its way to Italy. My husband, Adam, and I ordered “Guilty 12” cocktails from the liveried bartender and surveyed the scene, hoping — expecting, even — to spot some sort of criminal activity or suspicious behavior. 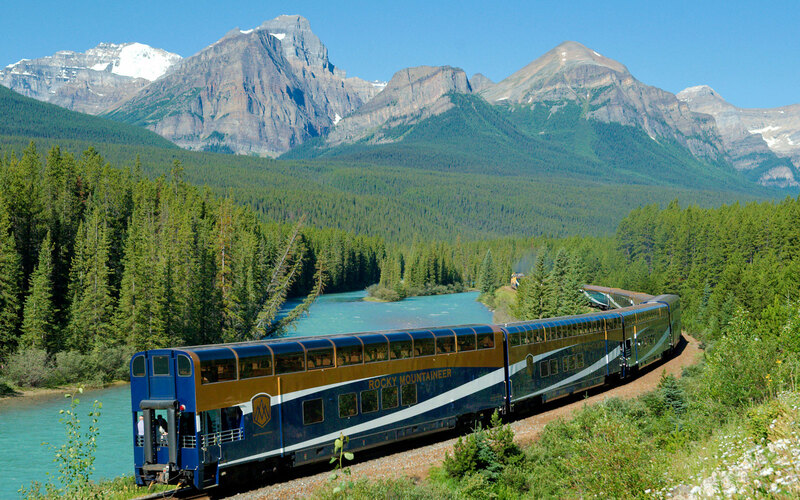 It’s impossible to ride the midnight-blue train without imagining oneself on the pages or the movie set of Agatha Christie’s classic mystery, “Murder on the Orient Express,” in which everyone is a suspect, particularly as a new, star-studded film adaptation hits our screens. 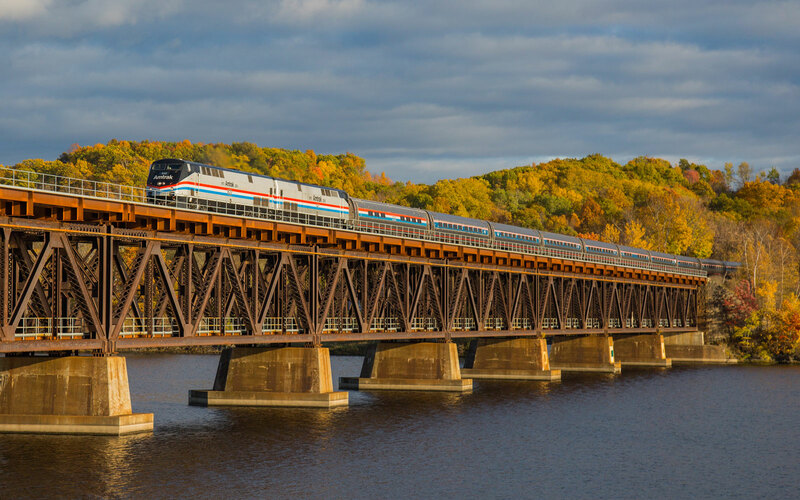 The atmosphere inside the bar car buzzed with excitement and intrigue. As the pianist began a rendition of Sinatra’s “Strangers in the Night,” Adam stroked the Hercule Poirot-inspired mustache he had grown especially for the journey. And then we saw him. A man — a minor British celebrity, no less — had flouted the strict tuxedo dress code by wearing blue jeans with his jacket and bowtie. A murder it was not, but this was no insignificant crime. Prospective passengers are informed that “you can never be overdressed on the Venice Simplon-Orient-Express” in a booklet that accompanies their train tickets, and everyone else had dressed up. There was a couple in full Highland regalia with matching kilts and ornate brooches pinned to their tartan sashes; a group in 1930s costume, fascinators perched on the ladies’ heads; a Japanese party in kimonos; and a woman in a floor-length emerald silk gown. 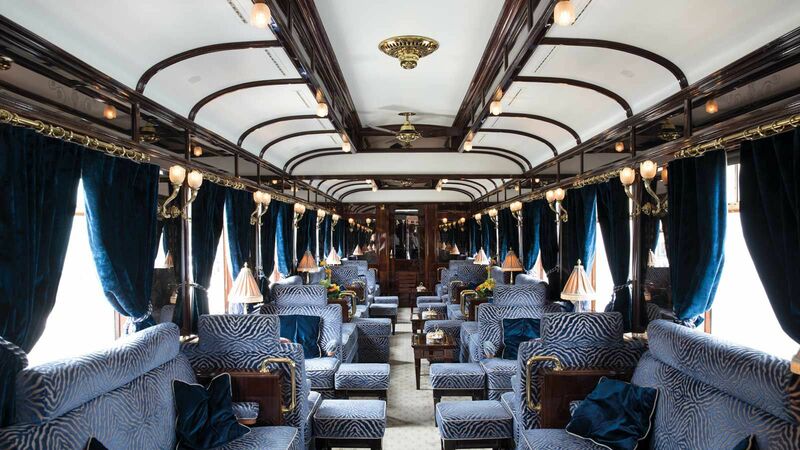 They all admirably complemented the bar car’s sumptuous interior: brass and mahogany fixtures polished to a high shine, blue zebra-print upholstery, thick velvet curtains. And they, too, were agog at the celebrity’s misdemeanor. 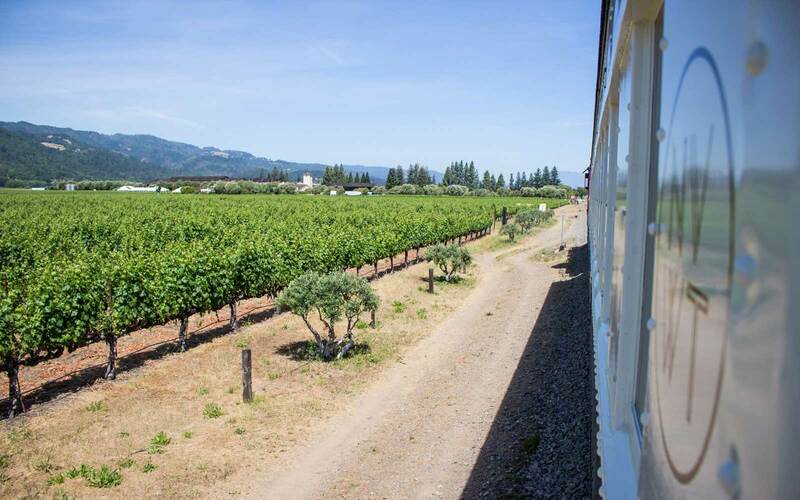 To say the VSOE, owned and run by hotel company Belmond (previously called Orient-Express Hotels) since 1982, has a storied past is an understatement. The train made its maiden journey from Paris to Vienna in 1883, when luxury trains with restaurants, sleeping cars, central heating, hot water and gas electricity — not to mention crystal goblets, velvet curtains, and wood paneling — were a novelty in Europe. Known as “the king of trains and the train of kings,” it regularly carried presidents, royals, politicians, and spies during its heyday in the 1920s and 1930s. As one of the last relics of travel’s golden age, its opulent vintage carriages and legendary service continue to attract the international glitterati — even future-gazers like Elon Musk, who recently interrupted his suborbital mission to celebrate a birthday on board, along with 13 friends. “They danced all night, had a yoga session at 7 a.m., and then slept all day,” the train’s manager, Marco Girotto, told me. 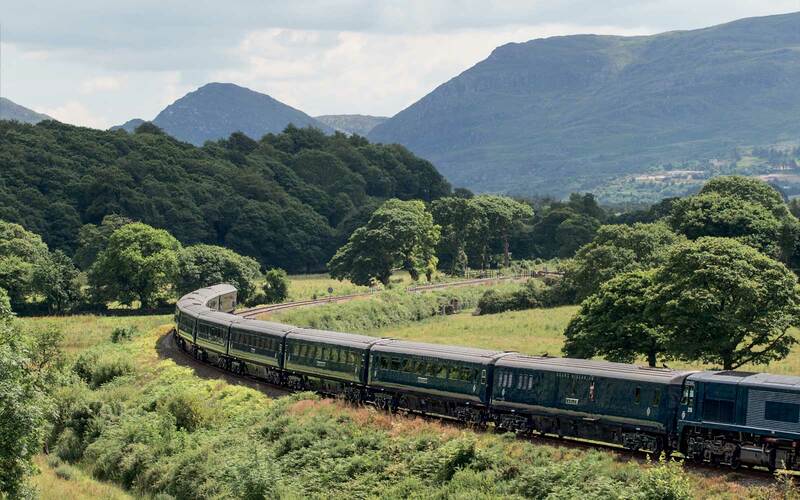 The one-night VSOE London to Venice service, which Adam and I were taking, first launched in 1889, with the historic British Pullman train covering the first leg of the journey. 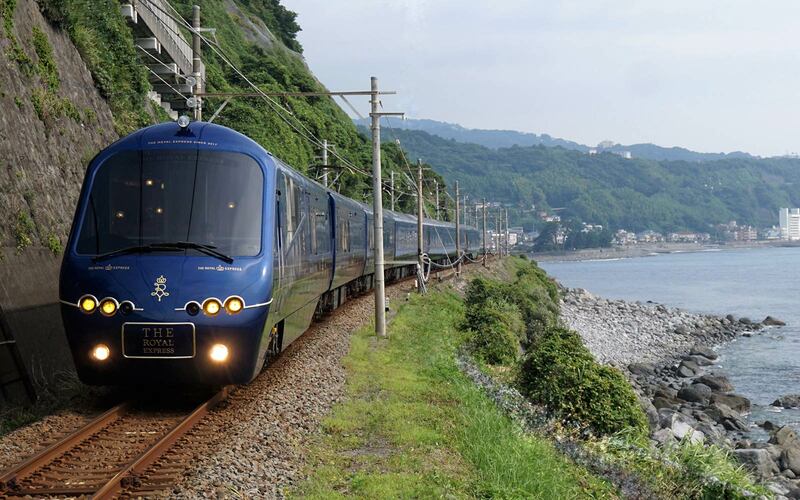 The train, now also owned by Belmond, still takes passengers from London’s Victoria station to Folkestone in Kent, before a luxury coach transports them across the channel on the Eurostar train and they board the Venice Simplon-Orient-Express at Calais, France. 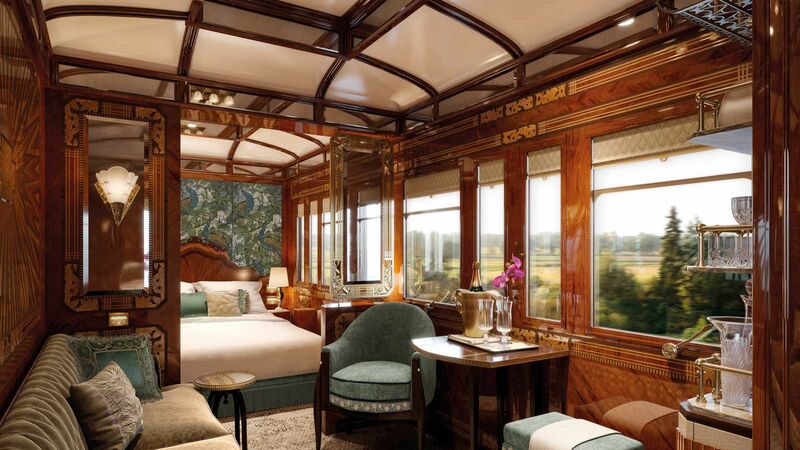 The Pullman, which has often been used by the British Royal Family, has its own gleaming art deco carriages and is every bit as luxurious as its sister train, the VSOE. Our butler, Bobby, served us bellinis followed by smoked salmon and scrambled eggs with caviar as we criss-crossed the Thames at a sedate pace. Commuters smiled broadly and raised their iPhones to snap photos as we passed. Introduced as the Venice Simplon-Orient-Express in 1982 when it began taking the 12-mile Simplon Tunnel, the iconic train now runs between London, Paris, and Venice from March to November, and makes the Paris-to-Istanbul journey once a year, in either August or September. Agatha Christie, the most widely read novelist in history, first took the train in 1928 after divorcing her husband, and was once marooned aboard for 24 hours because of flooding. It was this experience, and hearing that the VSOE and passengers had been trapped in a blizzard in Turkey for six days in 1929, that motivated her to write “Murder on the Orient Express” in 1934. A murder happens in the middle of the night, and the group of suspects — a countess, a missionary, a professor, and a governess, among others — become stranded on the train following an avalanche with legendary Belgian detective Hercule Poirot. “There is something about a tangle of strangers pressed together for days with nothing in common but the need to go from one place to another and never see each other again,” Christie wrote. 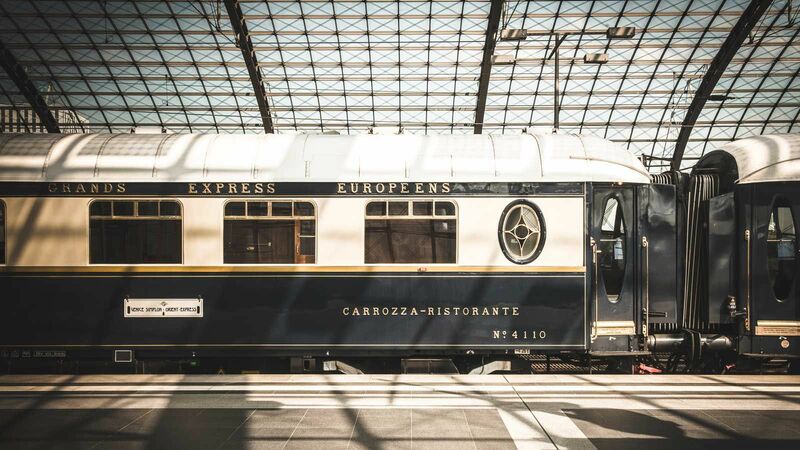 These days, one takes the Venice Simplon-Orient-Express precisely for the journey, rather than to get from A to B. Passengers celebrate wedding anniversaries, birthdays, and, according to Girotto, divorces, along the way. But whatever your reason for being here, pressed together you all are. This is not a trip for introverts: socializing is a major part of the experience. We had begun our journey under slate-gray skies, which continued through the apple orchards of Kent and marshy northern France until nightfall. As we passed through inky eastern France and the pianist segued into Elton John, the second serving of dinner was announced. I shuffled (four-inch stilettos are a challenge on a moving train) into the Lalique dining car, named for the Art Nouveau glass panels on its walls, where Adam and I enjoyed an exquisite meal cooked in a kitchen no bigger than a one-bedroom Manhattan apartment. Lobster with cauliflower velouté and caviar, slow-cooked fillet of roast beef with truffles, cheese, and chocolate pastry parcels were all presented on gilt-edged china. By the time we retired to our cabin in the early hours, we had a dozen new friends who were as diverse as Christie’s cast of characters, including a Canadian nurse, a Yorkshire sheep farmer and her daughter, a highly decorated army intelligence officer, and a Swiss financier. Some had saved up for the one-night passage their whole lives; others, including one of three Aston Martin collectors we met, were on their third or fourth VSOE journey. The news that three new private grand suites with bedrooms, showers (cabins currently only have washbasins; restrooms are shared), and living areas would be added in March 2018 was discussed with great enthusiasm, despite the $6,160-per-person price tag. After sleeping soundly under the crisp white sheets and thick blankets of our bunks (with two children under three an uninterrupted night is a rare and precious thing) we awoke to a bluebird day in the Swiss Alps. 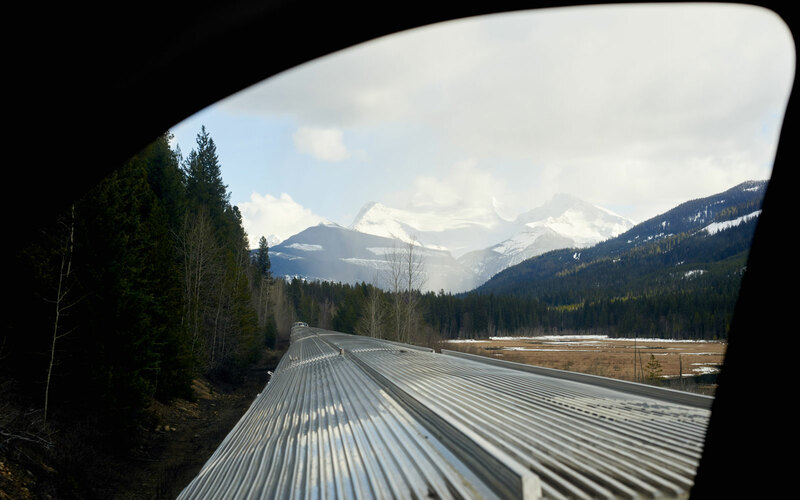 The thrilling, snow-capped scenery and the gentle rocking of our cabin was the perfect tonic for our sore heads. Our steward, Riccardo, delivered us a breakfast of pastries, fruit salad, and strong black coffee on a silver tray. We lingered there all morning, captivated by the view, before joining our new friends. The big revelation in dining car L’Oriental 4095 was that the other celebrity on board, our very own aging actress and answer to Agatha Christie’s Caroline Hubbard, AKA Linda Arden, had caused consternation in the kitchen by requesting “vegan salmon” for lunch. Not that the VSOE staff are unused to off-menu food requests: John Travolta once asked for French fries while on board with his family, and despite the fire risk, they obliged. Italy’s turquoise Lake Lugano provided the backdrop to our meal, another Michelin star-worthy affair of scallops in squid ink, chicken with shitake mushrooms, and a tangerine cheesecake that wobbled appealingly in time with the oscillating carriage. As usual, the service from the white-uniformed waiters, most trained at Switzerland’s Gstaad Palace hotel, was precise without being overbearing: water glasses were filled and brioche rolls replenished without our noticing. We crossed the Venetian Lagoon and drew into the city’s Santa Lucia station just as the sun was setting, swapped social media details with our fellow passengers, and, with great regret, said goodbye to Riccardo, who had pampered us, to use Christie’s words, “like a zoo panda.” The Venice Simplon-Orient-Express had more than lived up to its reputation as the world’s most glamorous train journey. A couple of days later, I watched a screening of the new “Murder on the Orient Express.” Kenneth Branagh directs and stars as Hercule Poirot, sporting a voluminous mustache that curls across his cheeks like twin squirrel tails (Christie, who described Poirot’s face furniture as “the most magnificent moustaches in England” would certainly have approved). The movie has a visual and emotional complexity that other productions have lacked, and some stellar performances. Michelle Pfeiffer moved me to tears as Caroline Hubbard and made Lauren Bacall’s performance in Sidney Lumet’s 1974 production look, dare I say it, rather one-note. Still, as I left the theater, I couldn’t help feeling sorry that the cast never got to experience the real deal, since the movie was produced in a studio near London. The train’s stand-in looks convincing and opulent enough, but no set could accurately reproduce the rhythmic rattle or shifting light of the historic wooden carriages as they slink past lakes and grow dark in tunnels; the chink of heavy crystal glasses and antique silver in the dining cars; the glow of the coals that still serve as central heating. And of course, a movie about a murder could never capture the pure joy of 180 passengers dressed to the nines on the ride of their lives. For that, you’ll have to book a ticket yourself. And, please, leave your denim at home. 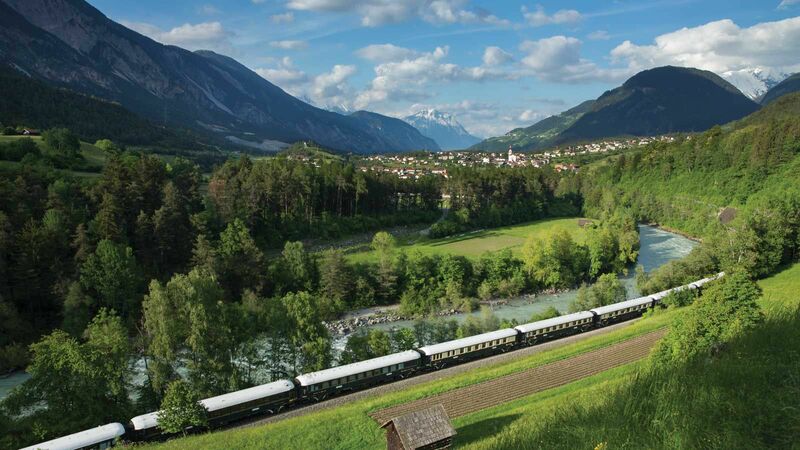 To book a cabin on the Venice Simplon-Orient-Express, visit belmond.com. London to Venice journeys start from $3,102.